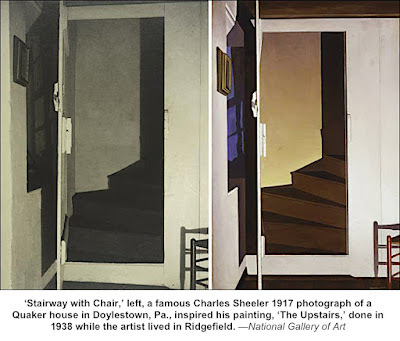 One of the leading American painters of the 20th Century lived and worked in a historic Ridgefield building that, like too many other relics of the town’s past, has disappeared. The Whipstick District schoolhouse stood on the northern corner of Whipstick and Nod Roads. After it closed in 1915, the small building was incorporated into a wing of stucco-covered house. 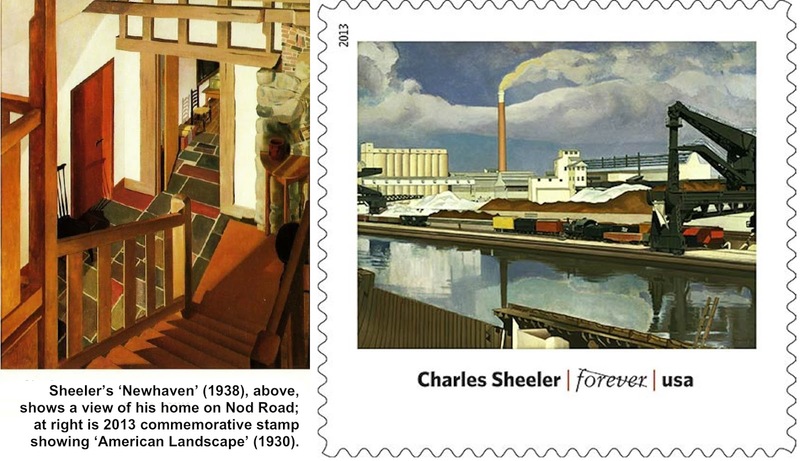 There, American painter and photographer Charles Sheeler lived and worked for 10 years. respected as a photographer, who was hired by Henry Ford to photograph his factories, and worked many years for such Conde Nast publications as Vogue. 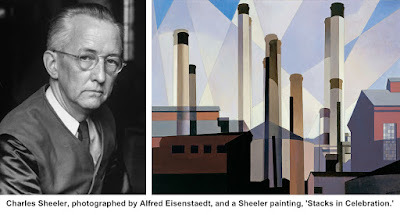 Born in 1883 in Philadelphia, Charles Rettrew Sheeler Jr. studied art with William Merritt Chase, a noted American Impressionist, at the Pennsylvania Academy of the Fine Arts, and then went off to Europe to study both modern and classical painting. Back in Philadelphia, using a Kodak Brownie that cost $5, he taught himself photography. To help his income, he became a freelance commercial photographer. 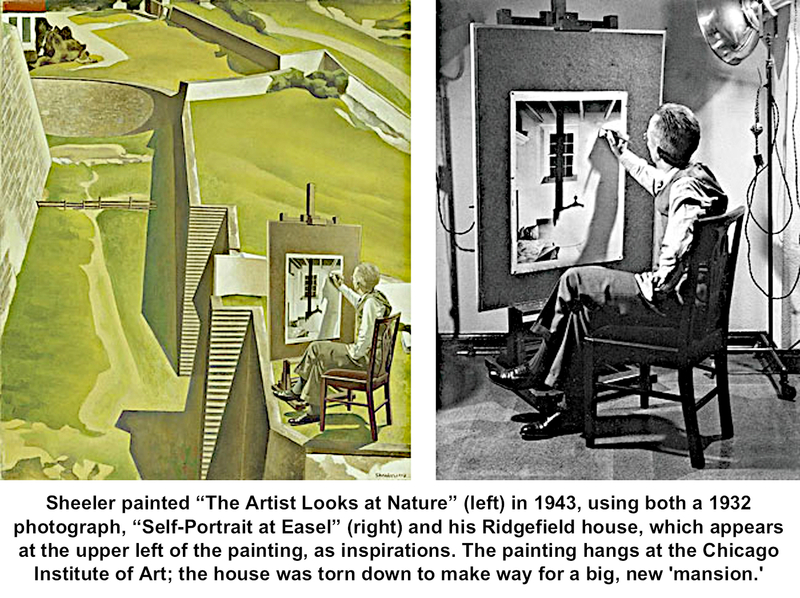 That medium influenced his art, and his paintings began to take on the precision of a photograph. His work for Ford also influenced him, and he became best known as painter of machines and industrial scenes as well as commercial ships. 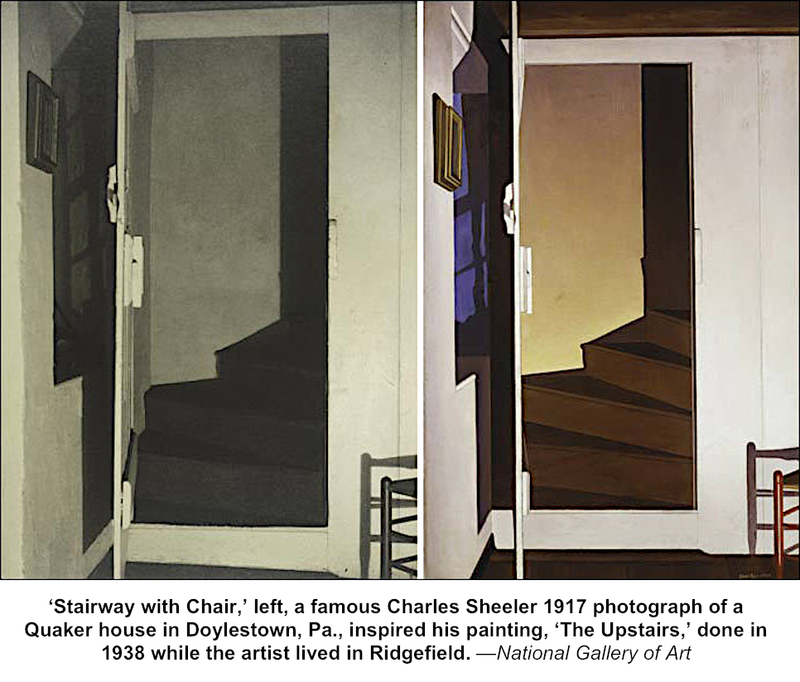 Throughout his life, Sheeler continued to both photograph and paint America and Americana, and he was widely considered a master at both media. “Photography is nature seen from the eyes outward, painting from the eyes inward,” he said in a 1938 interview. 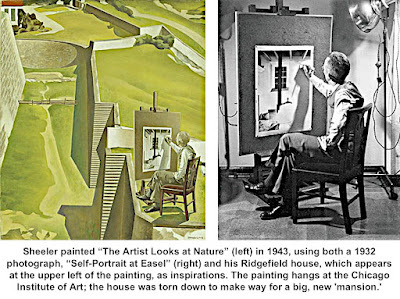 Several of his paintings use views of the inside or outside of his Ridgefield home, including “Newhaven” and “An Artist Looks at Nature,” The latter is a 1943 surreal painting in which he incorporates a self-portrait photograph of himself (probably taken in Ridgefield), his house in Ridgefield, and the Hoover Dam, which he had photographed in 1939 while he lived here. His work is in many of the major museums, including the Museum of Modern Art, the Metropolitan Museum of Art, the National Gallery of Art in Washington, and the Museum of Fine Arts in Boston. alone for nine years but socialized often with friends, including the poet William Carlos Williams and photographer Edward Steichen, who lived in nearby Redding. In 1942, Sheeler married Musya Sokolova, a Russian dancer and photographer, and the couple soon moved to Irvington-on-Hudson, N.Y. He died there in 1965. Unfortunately, the schoolhouse-home where he painted and which he used in some of his paintings, was demolished in 2000 to make way for a much larger house.